Cranbrook, BC (March 19, 2019) – The City of Cranbrook has initiated its annual flood preparedness activities in order to proactively plan for any event that may occur with this week’s warm weather. As a part of the preparation, the City is stockpiling sandbags to protect roads and infrastructure and has also set up a sandbag station for the public near the intersection of Borden Road and Cobham Avenue, on the Public Works yard property. Sand and sandbags will be provided. The warm weather also means that ice surfaces and creeks will become hazardous, with the skating area being shut down at Idlewild Park. Residents should exercise caution around creeks as well due to the large amount of ice that has built up from the recent cold snap. Higher flows could cause ice jams or unexpected floods in some areas. City staff and crews will be increasing patrols and surveillance of creeks, dams, and stormwater infrastructure. However, residents can report any concerns to the City by calling 311 or using the 311 app. The first warming event of the season typically impacts the lower elevations areas and smaller creeks and watersheds, such as Jim Smith Creek and Hospital Creek. 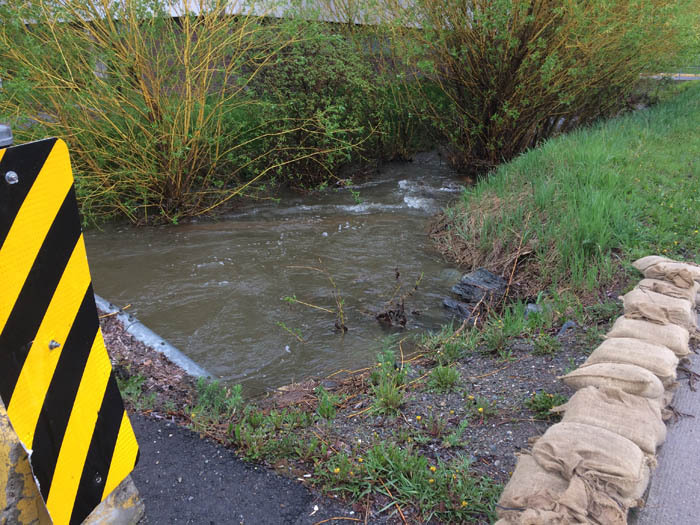 With recent investments to mitigate flood and runoff events, such as the upgraded Wattsville Road culvert and last fall’s Citywide culvert dredging program, the City hopes that potential impacts and risks will be reduced. This is also a time of year when sewer backups could occur due to infiltrating groundwater and excessive use of sump pumps that are connected to City sewers. The City reminds residents that connecting sump pumps to sanitary sewer drains is not permitted, and they should be routed to an outside drainage pit or yard if a storm sewer connection is not available. The City has recently invested in an overflow bypass pump for a part of town that has recently been affected by sewer backups and is in the process of installing several high-tech remote sewer flow monitoring devices to better record and react to any high flows. Visit https://cranbrook.ca/assets/test/our-city/city-departments/public-works/flooding-information/ for more information.